Tiny structures measurable on the nanometer scale (one-billionth of a meter) are known as nanostructures, and nanotechnology is the emerging application of these nanostructures into useful nanoscale devices. As we enter the 21st century, more and more professionals are using nanotechnology to create semiconductors for a variety of applications, including communications, information technology, medical, and transportation devices. Written by today's best researchers of semiconductor nanostructures, this cutting-edge resource provides a snapshot of this exciting and fast-changing field. 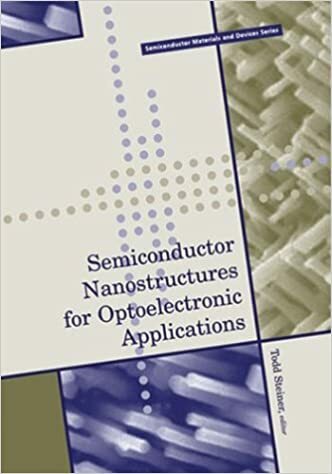 The book covers the latest advances in nanotechnology and discusses the applications of nanostructures to optoelectronics, photonics, and electronics.